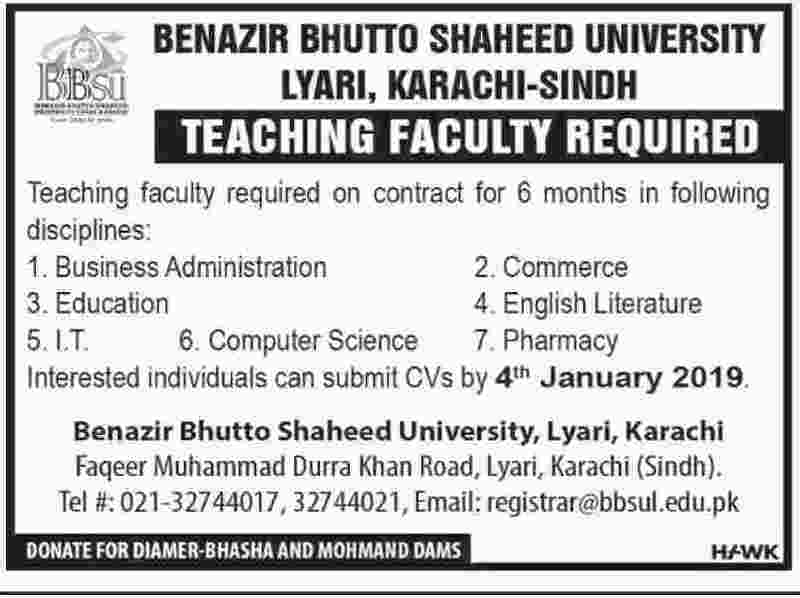 Below are the complete details of the Faculty Staff jobs in Benazir Bhutto Shaheed University in Karachi. Qualification: Qualification:- masters degree in commerce/IT/education/pharmacy/english/computer science & business administration must have relevant of work experience in a similar administrative support role. last date for submission of application is 04th Jan 2019. 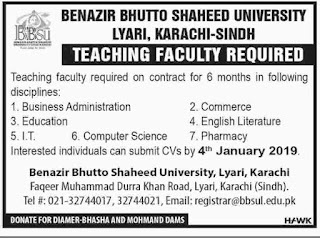 Faculty Staff jobs in Benazir Bhutto Shaheed University Karachi, in Pakistan published on Paperpk.com from newspaper on December 29,2018. Job seekers who are already working as Faculty Staff , Professor , Registrar , Associate Professor , Teaching , Assistant Professor , Lecturer can also apply for post of Faculty Staff.